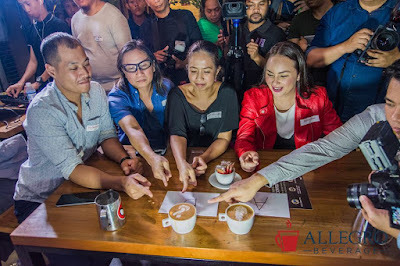 Allegro Beverage Corporation, the Philippine preferred coffee solutions provider, in partnership with LNA Management Group, will be staging the ultimate and the longest running Barista competitions in the country. The 5th Latte Art Throwdown will be held on September 13, 2018 and the 12th Philippine Grand Barista Cup (PGBC) on September 14, 2018 at the Asia Food Expo (AFEX) at the World Trade Center, Metro Manila. These events have grown in popularity and are celebrated by industry and coffee aficionados, showcasing the exceptional talent and craftsmanship of Filipinos in the art of coffee – the process of blending, style, creativity and presentation. ● To promote the excellence and recognition of the barista profession. ● To increase the appreciation for specialty coffee especially Philippine Arabica beans. 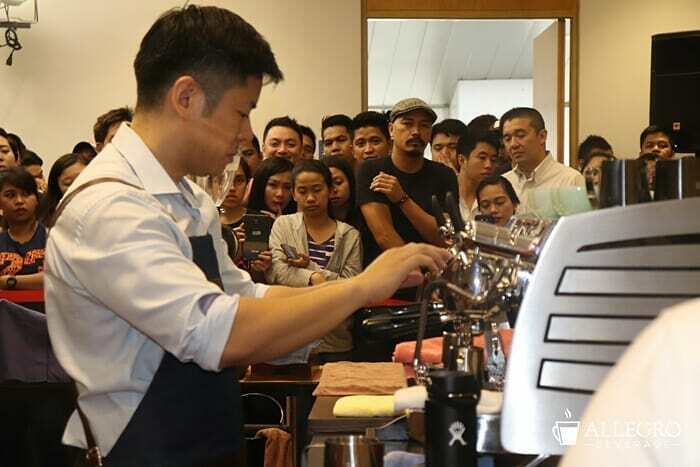 ● To raise the bar for Filipino baristas competing in world championships. Our highest ranking has been 13th place out of 60 countries at the World Barista Championships. Leo De Leon, President of Allegro Beverage, is pleased to announce that the Grand Winner of each event will receive a Championship trophy, a Franke fully automatic espresso/cappuccino machine worth P100k, a Barista Kit worth P15k, free overnight hotel stay at Midas Hotel & Casino and Allegro gift bags from our valued sponsors. De Leon said that these coffee competitions in the last 12 years have highlighted the technical and creative skills of the barista Finalists in service presentation, creativity and passion for coffee. He notes that more than half of our past winners have relocated overseas for greener pastures as there is a large demand for experienced Filipino baristas in cruise ships, hotels, casinos, restaurants and coffee shops. At a World Barista Championship that De Leon attended in Dublin, Ireland, there were 4 natural born Filipinos competing but representing countries from the Middle East and Austria. Our major partners for these events are EXPOBAR (the PGBC Official Espresso Machine from Spain), MOAK Special Bar (the PGBC Official Coffee Beans from Italy), Routin 1883 and Fruiss (the PGBC Official Gourmet Syrups from France), Nuova Simonelli(the PGBC Official Espresso Coffee Bean Grinder from Italy) and Franke fully automatic machines from Switzerland. Our GOLD sponsors are MILKLAB exclusively distributed by Grand Nourriture, Malongo Atelier Barista Philippines, UCC Coffee, UCC Academy, Blizzard Ref Sales Corporation and Far Eastern University. Our Media partners are the Philippine Daily Inquirer, World News, Chinese Commercial News, Coffee Tea and Ice Cream Magazine and Online Magazines - Asia Food News and Breakfast Magazine. Allegro Beverage is an importer, distributor and service provider for espresso machines, coffee beans, gourmet syrups and sauces. We are the preferred coffee solutions provider in the Philippines and the region. Our offices are located in Manila, Cebu, Davao, Pampanga and Guam, USA and we have provincial dealers in Iloilo, Bacolod and Cagayan de Oro. 2014, Marco was the first to obtain in Sicily the certification in Coffee Diploma System, the most authoritative attestation in the world of coffee professionals, recognized by SCAE (Speciality Coffee Association of Europe). He is currently in charge of Caffe Moak Coffee Training Centre, teaching SCAE courses, coffee cocktails and latte art to baristas in the food service industry in Italy. International Export Manager of Caffè Moak, the leading espresso coffee bean company is Southern Italy. Francesco Neri has a degree in Statistics and Mathematics. He worked as National Area Manager (Italy) for one of the largest major coffee roasting company in Europe. He is an authorized and specialized Trainer of the Specialty Coffee Association of Europe. His modules include: Introduction to Coffee, Barista Skills Foundation, Intermediate and Professional Barista Skills. Export Sales for South East Asia, Central Asia and Russia for Crem International. Crem International is the manufacturer of Expobar espresso machines from Spain, Spengler fully automatic espresso machines from Germany and Coffee Queen brewers from Sweden. In February 2018, Crem International was acquired by Welbilt Inc. (USA) and is now a part of the New York Stock Exchange listed company. Fabian Fredriksson is a Swedish native and has lived and worked in China and Southeast Asia for more than 5 years. He joined Crem International in early 2017 and successfully managed the South East Asian, Russian and Central Asian markets, including the Philippines. He was a sensory judge at the 2017 PGBC in Manila. He is also a vivid soccer fan and was previously the Sports Director for an elite soccer team in Sweden. ●Brand Ambassador of one of the leading Syrups in the World, 1883 Maison ROUTIN France Syrups. Beverage Specialist and Recipe Developer​. ​Tristan ​has conceptualized and created beverage menus for many leading coffee chains locally and internationally. ●Product and Cafe Specialist. 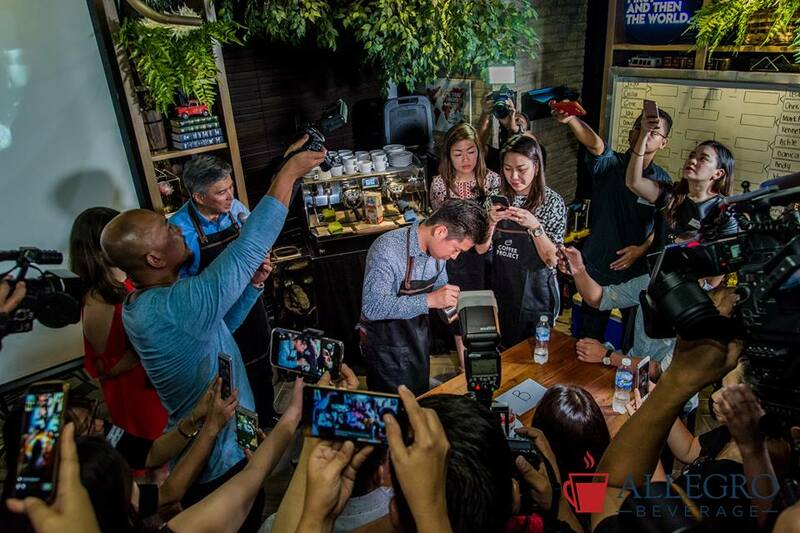 Conducts mixology and barista seminars all across Southeast Asia, North Asia and China. ●Experienced Barista. 12 years of experience and with certifications locally and internationally. National Barista Sensory Judge, Food Stylist and Food Photographer. ● Chef Artist. This title was given with commendation from a world-renowned Chef, Chef Christian Frenot, when he worked with the latter in a 5-star hotel in Qatar. Worked simultaneously with designs for Fondant Cakes Modelling, Fruit Carving, Fondant Painting. ● Latte Artist. Second in the World to do Live/ On-the-Spot Portrait Latte Art. Tristan has been invited to numerous Universities, Exhibitions, TV shows and Presentations for Coffee to showcase his Portrait Latte Art Skills. Franke Coffee System Asia Sales Director. Coffee lover even before starting his career in the professional coffee machine industry. Fernando Menendez lived in USA, China and recently moved to Hong Kong. Franke is a Swiss professional fully automatic coffee machine manufacturer with leading edge technology to get the best and consistent in cup quality coffee within the touch of a button. Fernando loves the Philippines and has visited over 15 times. Head Judge, 12th Philippine Grand Barista Cup. Espresso Chef and Master Barista, Coffee Concepts Specialist and Food and Beverage Operations Training Consultant. Head Judge of 5th Latte Art Throwdown. Currently working as Barista of UCC Coffee. 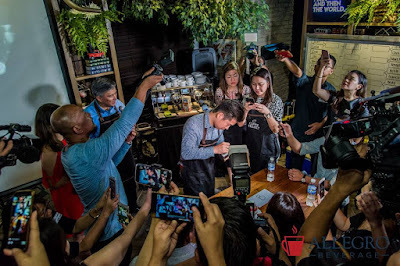 Joe Marie Lichangco is the champion of 2018 Philippine National Latte Art Finals, 2017 Philippine National Latte Art Championship (PNLA) -4TH Runner-up and 2016 PNLA -2nd Runner-up. T​echnical Judge of 12th Philippine Grand Barista Cup. Service Manager of Allegro ​Beverage Corporation, the preferred coffee solutions provider in the Philippines. Sherwin Halasan has travelled to many countries for factory training on coffee machines and installation. He is a licensed Pre-Q coffee grader and has been a technical judge of Philippine Grand Barista Cup for the past 5 years. Technical Judge of 12th Philippine Grand Barista Cup Head Barista at Toby’s Estate Coffee Roasters Philippines. John Richard del Rosario is the 1​st runner-up Philippine National Latte Art Championship 2017 and Finalist at Philippine National Barista Championship 2012. He was also a Finalist at the WOFEX Barista Cup 2013.